Food – While it may sound unappealing to 3D print a food, you will definitely change your perspective if you see how a 3D printer operates to create pizza, ice cream or candies. 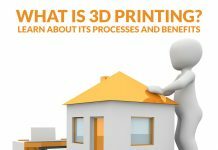 In fact, 3D printed foods have a more strategic advantage because they do not contribute to global warming and global dilemmas of low natural resources. A Working Gun – Guns are expensive, but if you feel that you need one for self-defense, 3D printing a gun is possible. With regards to the legalities of 3D printing a gun, the Gun Control Act of 1968 mandated that anyone who engaged in the business of dealing firearms must be licensed by the federal government. In addition, firearm dealers must perform a background check for their prospective buyers and maintain records for all sales. Buildings – Yes, 3D printers can also make buildings. A Chinese company constructed two buildings with the use of 3D printer. They used recycled industrial waste for their material. The company’s printers were 6.6 meters tall and the ink was a mixture of cement and glass fiber. The said printers can manufacture buildings up to 12 stories tall. One was a 1100-square-meter villa and the other a six-story residential block. It might not sound appealing to live in, but the Chinese company said that the buildings were safe to occupy. Car – The first 3D printed car, Urbee was created in 2011. Local Motors is also making their own. In fact, they are developing a 3D-printed car that exceeds the FMVSS standards by 2017. They have worked with other companies to create a simple and smart car. Their 3D printed cars are also sustainable with vehicle emissions of only half the equation. Rigid Heddle Loom – If you love weaving fabrics, you can 3D print a rigid heddle loom. One user already did it using a 3D printer and some raw plastic materials. The user used a screw to keep the whole thing. The creator used an openSCAD, a 3D modeller program to design it. For those who love weaving, 3D printing a rigid heddle loom will be useful for sure. 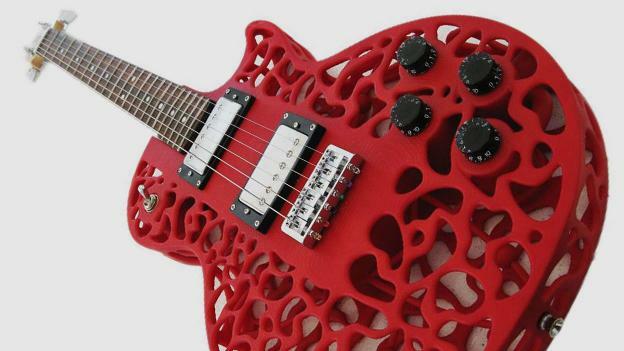 Guitars – If you love music, in particular, guitar, you can also 3D print it. Whether it’s acoustic guitars or electric guitar, it is possible with 3D printing. In fact, creating guitars with 3D printing is cheaper, easier and more convenient. Hand-made camera lens – Cameras are among the most popular devices today. In fact, most, if not all, own one. If you love photography, 3D printing your own camera lens is possible. One did it using acrylic to replace the glass on the lens and other tools to combine the small parts together. The great thing, it works! Dress – 3D printing is also used in fashion and design. In fact, several dresses and costumes were developed using the technology. There’s a 3D printed swimsuit, a 3D printed helmet, 3D printed dress, name it, almost every wearable can be 3D printed. Shoes – Finding the best shoes could sometimes be a struggle because most items are mass-produced, meaning it does not cater to your specific needs. Also, your left foot may not be of the same size with your right foot. So, finding the best shoes that fit both of your feet perfectly is very unlikely. 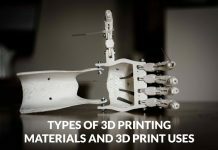 However, it’s a different thing when it comes to 3D printing because the computer will create an accurate 3D model of your feet combined with the details of your height, weight and activities to personalize the shoes for you. Medical Models – 3D printing is a great option to teach human anatomy and inject realism into surgery practice without using cadavers. 3D printing phentermine medicalmodels are accurate and surgeons can use it to plan a surgery and practice before getting a real patient under the knife. Cases and Card Holders – If you want a new accessory for your phone like a new case or cardholder, you can 3D print it. If you want a business card holder, you can 3D print it. 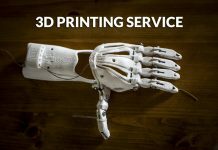 Most cases can be 3D printed, so before you buy a new one if you have a 3D printer you can use its magic to get what you need. Organizers – 3D printing is also helpful in keeping you organized. If you just place any item on your desk, finding what you need would be a struggle. So, you need a place for your scissors, pens, glue, cards, paper, sticky notes, tapes and any other materials. You need a desktop organizer. Creating one that suits your needs is easy with 3D printing. Other than this, you can 3D print wall outlet shelf, phone or tablet stand, headphone hanger, cable holders, cable organizer clip and more. Tableware – 3D printing is also capable of producing unique, elegant and durable cups, glasses, plates, dinnerwares and more. Toys – Kids can also enjoy 3D printing because it can produce toys. In fact, Mattel unveiled a $300 3D printer, called “Thing Maker” that allows children to print their own toys. This device works in conjunction with a 3D printing app that is developed in collaboration with Autodesk. With the app, children can design the items they want to play. The app is called ThingMakerDesign. It comes with a variety of built-in character templates and easy tutorials to help beginners get started. It also encourages children to explore their creativity by allowing them to design from scratch. The toys can be customized with different colors and textures. They also bend or twist. The design can be saved to the device or be uploaded to the Google Drive or Dropbox. Then the app will let you export the STL print files wirelessly to your at-home printer. Kids can also create parts and assemble it like dolls, robots, dinosaurs and more. 3D printing is capable of creating almost anything. From your basic needs – food, clothing and shelter to your wants, toys, fashionable shoes and more. If you want to enjoy the best in life, try 3D printing and you will surely love it.